Harold is survived by his wife Dee, along with five children, Randy (Kathy) VanDenBoom, Ken (Dawn) VanDenBoom, Debbie (Mike) Markel, Mike (Lori) VanDenBoom, John VanDenBoom, special family friend, Connie Schmidt; nine grandchildren, Jason (Keriann) VanDenBoom, Kevin (Nicole) VanDenBoom, Jill (Adam) Mulders, David (Kelly) VanDenBoom, Alex (Chelsey) VanDenBoom, Michael Markel, Heather (Tyler) Squanda, Ryan and Lindsey VanDenBoom; eleven great-grandchildren, Eastin, Emily, Kody, Kameron, Zachary, Logan, Owen, Isaac, Ava, Ella, and Avery; a brother and sister, Rob (Pat) VanDenBoom and Sylvia (Bill) Rouech; sisters-in-law, Mary and Twilla VanDenBoom; beloved dog, “Lexi”; numerous nieces and nephews, and Ed, a special friend from New Hope Bay. Besides his parents, Harold was preceded in death by his grandson Andy VanDenBoom and siblings, Leona, Julia, Frank, Les, Millie, Roy, Laura, Henry, Raymond, and Don. 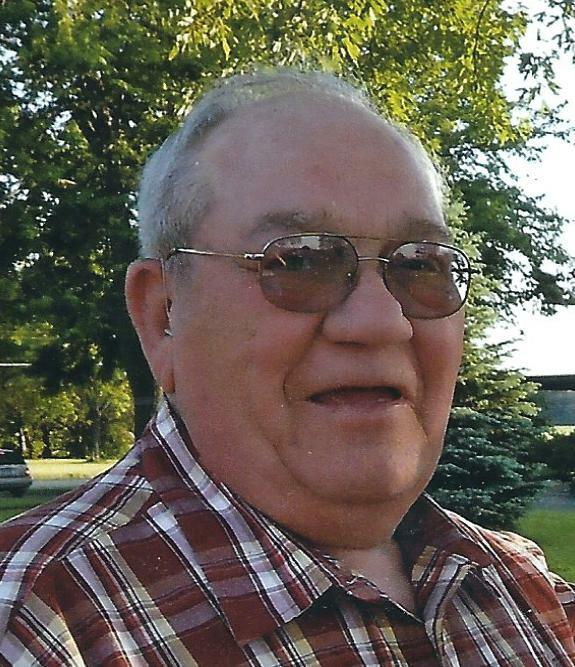 The Funeral Mass will be celebrated Friday, February 15, 2019 at 10:00 a.m. at St. Jude Thaddeus Parish – St. John’s Church, Essexville, Michigan. Fr. Dale Orlik will preside with interment in St. Patrick Cemetery. Friends may call at Ambrose Funeral Home on Thursday from 1:00 to 9:00 p.m. and at the church on Friday after 9:00 a.m. A Parish Vigil Service, Military Honors under the auspices of the Bay County Veteran’s Association, and a Knights of Columbus Bible Presentation for Harold will be held Thursday at 6:00 p.m. at the funeral home. In lieu of flowers, memorial contributions may be made to the wishes of the family.